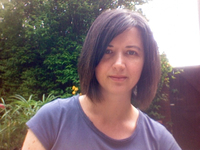 Here today is Augusta Blythe, author of two YA urban fantasy novels, Winterborne and Ravenstoke. I have friends asking the same question! In Winterborne, Loie’s Gran is based on my Gram (big name change there). People used to say she was ‘a real character’ so I decided to actually make her one. In Ravenstoke, heartthrob Cian was inspired by a mixture of guys, real and fictional — Darren Criss from Glee, Flynn from Tangled, and Hugh Grant’s Daniel Cleaver character in Bridget Jones’s Diary. I heart all three of those guys so I thought Loie might take a shine to him. I never write from the beginning. Does anyone actually do that? Sometimes the end comes first and then I need to figure out how to get my characters there. In Winterborne, I began with the idea of writing about a character who doesn’t actually appear in the story (Mr. Winterborne) and the story evolved from there. The writing ‘system’ varies from book to book, though. With book 3 of the Universe Unbound series, I already have a rough idea of my beginning, middle and end because I’m following on from the first 2 books. 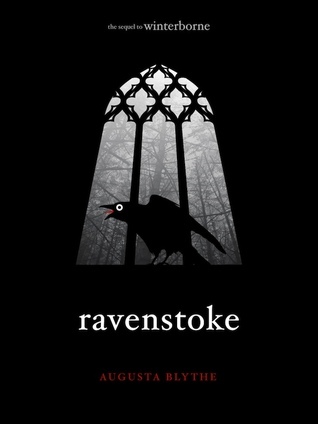 Certain things had to happen in Ravenstoke because I knew where I wanted my characters to be in book 3 (The Yawning Void, still to be written:)). I love ‘meeting’ new people from all over the world with shared interests, whether it’s books or Buffy love. My biggest thrill so far has been selling books in places like Australia and Greece. I’ve recently reached out to a few bloggers in India and the Philippines. I find that ridiculously exciting! My very talented brother-in-law designs my covers so it’s a very easy relationship. I give him the basic premise of the book and a few ideas about what images to include, the color scheme, then he goes to town. He’s brilliant! Right now it’s Cian because I love his smarmy style and he’s fun to write for. I can’t wait to have him back in The Yawning Void. We still know very little about him so it’ll be fun to explore that in the next book. Thanks so much for being here. It is awesome that you have cover designing talent so readily available to you. I for one love the covers. Very stark and striking. 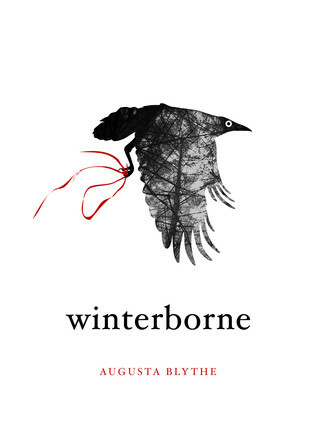 Augusta Blythe is the author of Winterborne and Ravenstoke, YA urban fantasy novels. She is also the author of Hostel Takeover written under the pseudonym Keeley Bates. She currently lives in England with her husband, two children, a clown fish, a cleaner shrimp and a mine urchin. Sixteen-year old Mia Winterborne is destined to be special. Details are sketchy, though, as her dad disappeared with all the answers when she was five. Mia only knows that she will inherit her kickass superpowers on her seventeenth birthday. Helping Mia prepare for her anticipated ascendancy is Loie Bryce, her best friend and eternal sidekick extraordinaire. The girls’ intense friendship has never wavered until now, when Andreas arrives in Salcey Ridge. They both fall hard for the British hottie, who quickly becomes a fixture in their lives. When they discover that Andreas is not who he appears to be, the frightening reality of Mia’s powers finally hits home. The nearer Mia’s birthday draws, the more the danger escalates and long-buried lies are exposed, putting the girls on a path that they never expected.